We already know that the Eastern Sports & Outdoor Show was a multi-million dollar event for Reed Exhibitions, and they lost it because of poor execution and dismal communication with their vendors and customers. Today, they lost another show with NSSF announcing that Reed will no longer manage SHOT. What surprises me the most is that the contract is terminated immediately. I figured they would at least ride out the issue until 2014 is wrapped up since events of this scale are not something you pull together in a day. We certainly wish NSSF luck in pulling together a successful SHOT Show in 2014, and we take a little joy is knowing that while this is ultimately no big deal to Reed’s overall bottom line, losing a millions over their anti-gun positions is still a bit of a victory. So in summery, the BATFE and FBI made a high profile raid during SHOT Show to arrest a 21 gun industry people. Their case was hinged on the word of a thief, druggie and all round morally bankrupt individual. Bistrong got just 18 months while the accused spent two years fighting their case. This hardly seems like justice to me. This is more and more what Uncle Sam’s justice actually does look like. 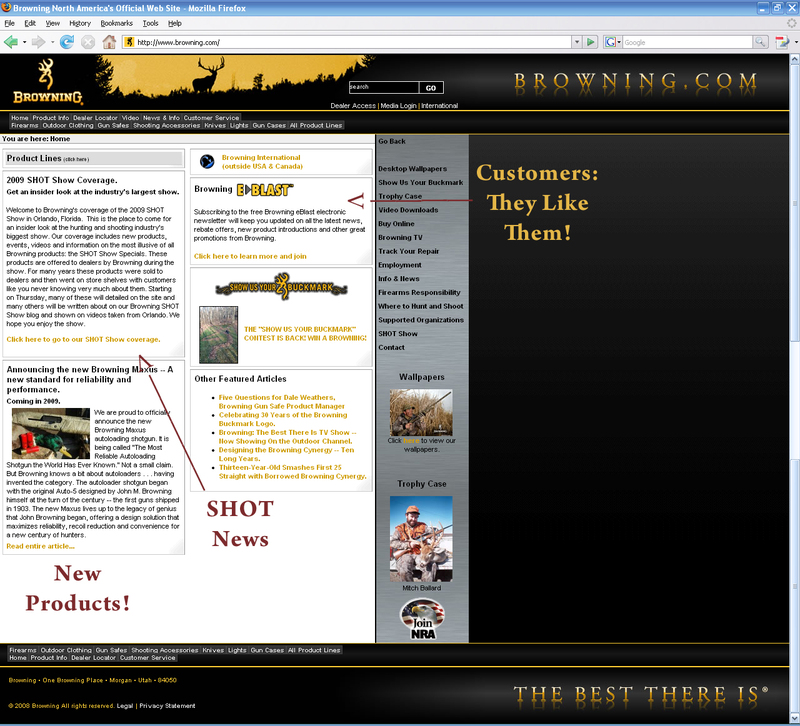 The Firearm Blog covers polymer cased ammunition at SHOT. This is a neat idea, but I’m skeptical. If it works it could mean lots of cheap practice ammo. Brass is expensive. 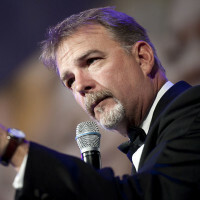 Michael Bane won the Grits Gresham Shooting Sports Communicator Award at the SHOT show industry Dinner. The Shooting Hunting Outdoor Tradeshow (SHOT) is underway this week. If you’re looking for coverage, I’d suggest popping over to The Firearms Blog (who is there) or SayUncle, and just keep scrolling. Maybe it’s the bad economic times, but I’m just not as excited about all the new gear this year. Everything I’ve bought recently has been under 300 dollars, and used. There are now two reports out that the first day of SHOT seemed to be much slower than years past. Interesting. I’ll be curious to know what today is like. Did folks just want to shave a day off of travel to save a few bucks? Or, are they doing such brisk business at home that they are trying to minimize time away? Or, is it because all the distributors and companies are so backordered with current products that they just don’t see much of a need to go play with the new? There are so many possibilities. If you know someone in the industry who isn’t going to SHOT this year, or has shortened their time at the event, what is their reason for cutting attendance this year? I’m a fan of managing expectations. I’d much rather under-promise and over-deliver. I also don’t believe in doing something just to say you did it, just to add another metric that means nothing to some final report. Since I’m talking about new media at SHOT, I thought I would throw out this quote on the meaning of “viral” when folks think about online efforts. That’s why if a client says, “we want to create a viral video,” my first question will usually be, “what do you mean by viral?” If it turns out that their goal is to create compelling content that people in their targeted audience will WANT to send to their friends and family, then we’re off in the right direction. But if they really mean, “we want to create a video that will become immensely popular and spread like wildfire and everyone will see it,” we’ve got some ’splaining to do. Because nobody can really predict whether or not a given piece of video or writing will take off like crazy, and there are a lot of people trying to make it happen. It’s a question of timing, content and opportunity that’s inherently chaotic, and hundreds or thousands of viral attempts fail for every one that gets seen by enough people to hit the bigtime — say, to get promoted to the top of YouTube or picked up on tv. It’s so remote a possibility that it may not even be worth aiming for, other than for fun. But, good content CAN spread widely to targeted audiences through viral channels, regardless of whether or not it breaks out to a larger/mass audience. This is much like what I said yesterday about the potential of Ruger’s video efforts. I would never expect them to go viral in the way most people think of viral. But, it would be worth it for them to re-think their efforts so that their current and most dedicated customers could pass around content they find informative and interesting. And it would be good if they actually produced material on site and posted it timely. But that’s another issue. One of the innovations with the most potential audience growth over the years has been internet radio. Consider that an event like SHOT would have to rely on phone interviews or set up a full radio row in order to get serious radio coverage for their vendors. I’ve run a radio row before. It is not fun. None at all. After it was over, I went straight to the bar. But with online audio production, the potential reach of an audience is even larger than what it would be with a full radio row. (Whether any host has made that reach is another question.) So that means for anyone broadcasting live, while you still have the work of setting them up with lots of bandwidth, the payoff for SHOT and the vendors has more potential than your general regional radio host. When you consider that podcasters don’t need to broadcast live if they have purchased their own recording software and gear, then there’s zero effort for a small payoff. Although considering how small most podcasting audience numbers are, it may not be worth the time of most staff at an event like SHOT. Plus, because it’s not written word, vendors must hope that podcasters have some sense of SEO in order to make the archived broadcast turn up in search results. 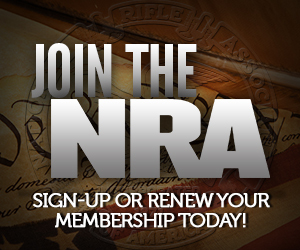 The most prominent of online broadcasters from SHOT would have to be NRA News. They will be broadcasting live beginning at noon on Thursday and Friday. But perhaps the most interesting element of the NRA News coverage is that it doesn’t stop on the show floor. They actually give vendors and newsworthy organizations year-round coverage when they replay the interviews during their regular show breaks. However, their big weakness is the lack of linkable/embeddable archives. Add into that the fact that with a flash-only site, it can’t be searched through Google. In order to get the most out of these interviews, companies need to have someone who can record them when they air or request a digital copy from the broadcaster. It would be wise for new media PR staff to set up YouTube channels and special pages on the company website to highlight positive interviews. Integrate these with other new media efforts and traditional marketing videos to keep content fresh for the most dedicated followers. By making versions that can be embedded, a company’s most ardent supporters can become an army of advertisers. For podcast interviews, I still suggest that companies get copies before the interview goes live so they can do their own editing. With a relatively basic video program, b-roll can be added to the audio to really spice it up, and highlight what you want in order to share it with your biggest fans online. One of the issues podcasters will face when dealing with PR folks is that their reach, while easily measurable, is tiny compared to radio (internet or broadcast) and there’s less direct return. However, whenever it’s viewed as part of a community-wide conversation, it’s worthwhile for the new media PR to at least pay attention once a year. Is SHOT the best time? Depends on the company and what they have to offer. It’s definitely appropriate at the NRA Exhibits. UPDATE: I see one vendor did decide to host a radio show in their booth on Sunday. ACR Electronics has announced they will host “Xplor the Outdoors” with Jim Solomon on Sunday morning. It airs both regionally and streams online. Perhaps most beneficial to ACR and the other companies sending representatives to be interviewed is that fact that the show’s webpage features a very informative pre-post making it more likely that archives of the broadcast will be picked up by search engines when potential customers are searching for information about their products.